If you’re looking for an Electric Bike for commuting that can also be fun, look no further! 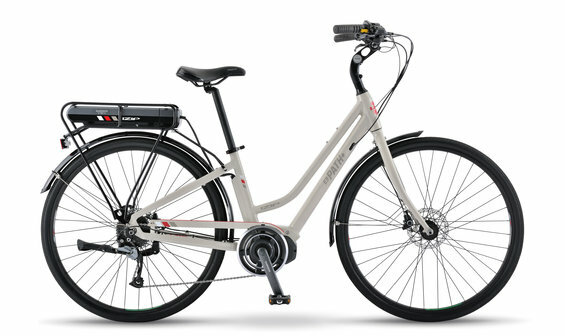 The E3 Path Plus offers the performance and adaptability of an urban bike, as well as the classic European style and comfort of a recreational bike. It’s weather-capable and night adaptable, so it can handle anything that’s thrown your way. The E3 Path Plus is a bike that you’ll want to ride to work, the coffee shop, the beach, and everywhere in-between: it’s just that much fun! With the E3 Path Plus, you just might find yourself smiling during your morning commute. The IZIP E3 Path Plus is available in both low step and diamond frames. Range Estimated 30 mi (48 km) to 50 mi (80 km). Varies based on terrain and rider input.